We Drink Your Milkshake! : THE MASTER Trailer Drops! It's been a while, but director Paul Thomas Anderson is back. We haven't seen anything from him since his 2007's THERE WILL BE BLOOD (a close and important movie to this site), and now he returns with THE MASTER. The plot follows a young, charismatic intellectual (Philip Seymour Hoffman) as he launches a religious organization following WWII. A drifter (Joaquin Phoenix) becomes his right hand man, but as the new religion begins to have a fervent following, the drifter finds himself questioning the belief system of his mentor. I for one am glad both Anderson and Phoenix are back. Plus, this religion Hoffman has founded has been compared to Scientology, which makes this film all the more interesting. 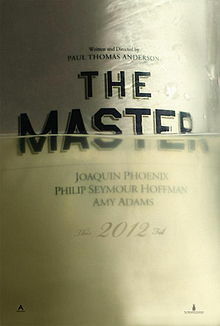 THE MASTER will be released October 12, 2012 starring Phillip Seymour Hoffman, Joaquin Phoenix, and Amy Adams.